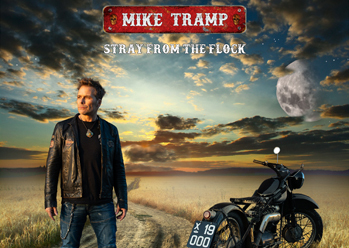 Micky James got a new video out for Walk The Line. Royal Republic got a new official video out for Boomerang. Get ready for a riff fest this summer, asThe Temperance MovementandTyler Bryant & The Shakedownembark on a co-headline tour withThomas Wynn & The Believers. The trek kicks off on July 1 in Philadelphia and runs through July 11 in Denver.The Temperance MovementandTyler Bryant & The Shakedownwill also appear at Ride Fest in Telluride, Colorado on July 13 and 14. All dates are below. Today, MISSIO releases new albumThe Darker The Weather // The Better The Manvia RCA Records. The album, which is produced by MISSIO and Dwight Baker, consists of 13 tracks and includes previously released tracks, “Rad Drugz”, “I See You” and “Temple Priest feat. Paul Wall & Kota The Friend.”In celebration of album release day, the duo also releases the music video for “I See You”, which is directed by Ben Fee. Savage After Midnight got a new video out for Heartless Machine. MESSER got a new official video out for Simple Man. Both “Good Feeling” and “Don’t You Worry” are available as instant downloads by clickingHEREto pre-orderVOYAGERahead of its June 28threlease. In addition, everyone who pre-orders the album is automatically eligible to win numerous 311 prizes, including concert tickets, meet & greet passes, handwritten lyrics, autographed goods, etc. VOYAGERis 311’s 13thstudio album and features (appropriately enough) 13 new songs - four of which were recorded with Grammy-nominated producer John Feldmann (Blink-182, Panic! At the Disco) and nine of which were recorded with longtime collaborator/live engineer Scotch Ralston, who produced 311 albumsTransistor,SoundsystemandStereolithic. VOYAGERis the second consecutive 311 album to feature production work by both Feldmann and Ralston following 2017’sMosaic, which enteredThe Billboard 200at No. 6, making it the band’s 10thstraight Top 10 album. About naming the albumVOYAGER, 311 vocalist/guitarist Nick Hexum says, "Our albums have become almost like a captain's log documenting our band’s ongoing voyage through musical styles, while also capturing our feelings and life experiences. With each album, 311 continues to voyage, explore and push our musicality into new dimensions." 311 have also revealedVOYAGER’s cover art, which was created by UK artist Sam Williams of MagicTorch – clickHEREto view. As with every 311 album,VOYAGERfeatures 311’s unique hybrid sound of rock, reggae, pop, hip hop and funk that the band have come to blend so seamlessly. 311’s feature film - Enlarged to Show Detail 3, was in 240 cinemas nationwide for a one-night showing on 311 DAY (March 11). Over 16,000+ fans turned out to watch the film, which was largely focused on the band and fan relationship with live show footage and behind the scenes content.The special LA screening with the band took place at the Egyptian Theater on Hollywood Blvd. Additionally, every online ticket purchased in North America for the new headline shows will include a physical copy ofHELP US STRANGERon CD. Fans will also have the option to upgrade their CD to the standard black vinyl LP. Sign up for Third Man Records’ Vault Package #40, which features an exclusive limited edition version ofHELP US STRANGERon electric green/black/copper swirled vinyl and Vault-only lenticular cover arthere. The deadline to register is April 30. HELP US STRANGER(Third Man Records) is the GRAMMY® Award-winning rock band’s third studio LP and first new album in more than a decade. Out on Friday, June 21,HELP US STRANGERsees the mighty combo reassembled, stronger and even more vital than ever before as they continue to push rock 'n' roll forward into its future, bonding prodigious riffs, blues power, sinewy psychedelia, Detroit funk, and Nashville soul via Benson and White’s uncompromising songcraft and the band’s steadfast musical muscle. WithHELP US STRANGER, The Raconteurs have returned right when they are needed most, unified and invigorated with boundless ambition, infinite energy and a collectivist spirit operating at the peak of its considerable powers, once again creating a sound and fury only possible when all four of its members come together. oday sees the release ofTHE GHOST OF OHIO(Lava/Republic), the much-anticipated new album from singer-songwriter Andy Black – clickHEREto listen. Upon release, the album immediately debuted at No. 1 on the iTunes Rock Album Chart. The unabashed anthem-making of Bruce Springsteen, The Killers, and U2 collide with darker undertones alongside an all-new haunted folklore, mixing boyhood dreams with otherworldly wonder. Quite literally,The Ghost of Ohiois the tale of someone who died young, whose spirit inhabits an area for a hundred years, looking for ways to connect, feeling forgotten, fighting an overwhelming disassociation. But it’s also less straightforward story and more “songs inspired by” the specifics. Black discussed the album during a recent interview with NME, which can be viewedHERE. He’s performing select songs from the album on his currentGhost of North America Tour, a headlining run that kicked off last week in Sacramento, CA (see itinerary below). The fact that Black can perform at all is a miracle, as he had an emergency appendectomy less than a week before the tour kicked off. Swedish melodic death metal pioneersAT THE GATESrelease new video clip for the track "The Colours Of The Beast" created by Costin Chioreanu / Twilight13Media. Watch the video here:https://youtu.be/D537ZU01EOE. The track is off of the band's highly acclaimed albumTo Drink From The Night Itself. "Right in time for the prestigious Roadburn Festival appearance we decided to release yet another video from the latest album,"states AT THE GATES vocalistTomas Lindbergh Redant. "This time we want to focus on the heavier, grittier sound of the band, hence "The Colours of the Beast". We once again worked together with Costin on this one. We talked with him that we wanted him to try to capture the dark, gloomy side of the band's music. And he succeeded, creating the, by far, most dark and twisted video we have ever released. We are very happy to present to you the new AT THE GATES video clip: The Colours of the Beast!" AT THE GATES have also announced an extraordinary show in regards at the prestigiousRoadburn Festivalon Friday, April 12, 2019 at the 013 venue in Tilburg, The Netherlands, which will feature a special setlist and guest appearances.AT THE GATES frontmanTomas Lindberg Redant acts as curator for the 2019 festival, presenting carefully and tastefully selected artists to perform under the event banner "The Burning Darkness". The event will take place on multiple stages on Friday, April 12 and Saturday, April 13. More info about the festival can be found here:https://roadburn.com/. SWMRS consists of childhood friends Cole Becker, Max Becker, Joey Armstrong and Sebastian Mueller, who decided to start fresh after the dissolution of their previous band, Emily's Army. They self-released their debut album, Drive North, in 2016, before signing to Fueled By Ramen to drop Berkeley's On Fire in February 2019. The album aims to serve as a counterpoint to today's trying times, with co-frontman Cole Becker explaining, "when we were writing these songs we were very conscious of our role in creating a space for people to escape the nonstop negative media cycle. "Berkeley's On Fireis available now on all streaming platforms, and be sure to keep up with exclusive content from artists all over the world onYouTube.com/Vevo. 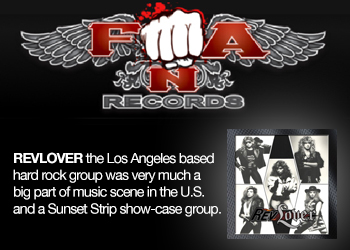 Spring 1980 saw the foundation of the group surrounding vocalist/guitarist David ‘Rock’ Feinstein, a cousin of the unforgotten Ronnie James Dio and former member of their joint band, Elf. Six years and five albums later,The Rodsdecided to go separate ways in 1986 and disappeared from the scene for more than twenty years, rising again like a phoenix from the ashes in 2011 with their outstanding comeback album Vengeance. The three musicians Feinstein, Canedy and bassist Garry Bordonaro have recorded eleven songs for Brotherhood Of Metal (a twelfth track will be included as a bonus track on the vinyl edition), in other words in exactly the same line-up that cut their 1982 cult release Wild Dogs. "Brotherhood Of Metal" is a highlight of the second leg of their career. Recorded at the Barn Castle and the Nire Studio, engineered by Lonnie Park, Carl Canedy and Eric Chesek, the album features spectacular cover artwork courtesy of Belgian artist Eric Philippe and brings a breath of fresh air to the band’s classic metal. The new album "Brotherhood Of Metal" will be released through SPV/Steamhammer on June 7, 2019 as CD DigiPak, 2LP Gatefold (incl bonus track "Crank It Up (35 Years)", download and stream. Todd Snider is heading back on tour today, April 10 at the JoAnn Davidson Theatre in Columbus, OH in support of his critically-acclaimed album,Cash Cabin Sessions,Vol 3., which was given four stars in a glowingRolling Stonereview and an "A" from Robert Christgau in hisNoiseyreview. Todd Snider has also announced brand-new tour dates starting this July and August. In an age of artists taking the safe path by not talking politics or taking a stand, Todd Snider continues to be a voice for the ones who are pushed aside and left for naught. In his review, Robert Christgau marveledthat "Sniderbecomes the first singer-songwriter ever to rhyme 'national anthem' with 'national tantrum.'" Snider's live performances come with endearing storytelling of his own personal stories, beliefs, and traditions, and usually more than a few appearances by his dog, Cowboy Jim. While on the road, Snider will make an appearance on WGN right before his performance at Park West on April 11. He also has a few surprises up his sleeve this coming fall. Cash Cabin Sessions, Vol. 3was recorded in Hendersonville, Tennessee at the Cash family's Cash Cabin Studio using some of the instruments that Johnny himself owned. The album was released through Snider's self-run Aimless Records, a company with the self-deprecating motto, "If it's a hit we've missed!" Snider had previously recorded on John Prine's Oh Boy Records. Cash Cabin Sessions, Vol. 3includes Snider's latest single, "Talking Reality Television Blues," which is accompanied by a brilliantanimated music videothat takes one on a journey told by a cartoon version of himself.Track 7, "The Ghost of Johnny Cash," is the reason forCash CabinSessions, Vol. 3. After a visit to Cash Cabin Studio for a Loretta Lynn session in 2015, where she recorded a song they cowrote, Snider began having a recurring dream about Cash. The dream led him to book time at the studio, inspiring him to write "The Ghost of Johnny Cash" which tells the story of Loretta Lynn dancing with Cash's ghost outside of the studio in the middle of the night. For music, tickets, and more info, visittoddsnider.net. Ahead of their return to Coachella this Sunday which launches their North American tour, and following their first entry on the Billboard Hot 100 withtheir Marshmello collaboration, the Scottish trioCHVRCHESrecently stopped byThe Moog Factoryin Asheville, NC to give a rare live performance of“Wonderland”inside theMoog Sound Lab. Chvrches synthesize their re-imagining of “Wonderland” using aMoog One,Subsequent 37, andDFAM– composing the spontaneous analog arrangement on the spot in the Moog Sound Lab. During the in-studio session CHVRCHEShad some time to answer a few questions with COS about their experience. "So much of our sound is shaped by Moog instruments so getting to see the love and care people put into the development and creation of those instruments is really something. That place is literally a wonderland for synth lovers so maybe the song title is a bit ironic... "
"Iain, Martin and Jonny reimagined all of the instrumental parts of the songs for the performance so it sounds pretty different from the record. Once you’ve released an album, so much of your time is spent touring which is great but not necessarily hugely creative so when opportunities come up to use the creative part of your brain again, it’s exciting for us." "We did the arrangement all in the room, once the guys had figured out what instruments each of them wanted to play. It was nice to be spontaneous and just see where we ended up." Lauded as one of SIRIUS XM's annual "Future 5" list of new artists they predict to break huge in 2019, BostonmetalcorebandICE NINE KILLShave created a captivating world for their cult fanbase with their definitive new conceptual album,THE SILVER SCREAM, out now viaFearless Records. 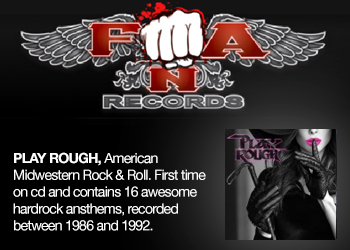 Debuting on severalBillboardTop 10lists including#4onHard Rockchart,#2onRock Albumchart and#8onDigital AlbumsandTop Album Salescharts,THE SILVER SCREAMisapost-metalcore masterpiece,with the catchiness and spirit ofpop-punkand the fist-pumping anthem power ofarena rock, that features13 songseach paying tribute to adifferent iconic horror movieclassic. Their current single, "A Grave Mistake," recently made its way up the radio chartsat#22onBillboard's Active Rocklist. Recorded with producerDrew Fulk(Bullet For My Valentine, As I Lay Dying), vocalistSpencer Charnastuned in his obsession with horror and recorded some of the album's vocals atfamous horror locationsincluding the houses used in the originalHalloweenandA Nightmare on Elm Street. Guest appearances also feature notable names in the horror genre includingSam Kubrick, grandson of Stanley Kubrick, andChelsea Talmadge(Stranger Things)as well as guests from the band's punk-flavoredpast including members ofFinch,Fenix TX,Mest, andLess Than Jake. Anna of the North today premieres a brand new track and accompanying video for"Used To Be",the second song to come from her forthcoming record, due for release in the Fall. Having sold out worldwide shows and amassed over 150 million streams so far, Anna is also embarking on her first North American headline tour later this month. With golden hour synths and her signature, breathy vocals, Anna laments a time before social media in "Used To Be". In Anna's words,'Used To Be' is a reminder back to when we were young and didn't worry about superficial things that often take too much of our attention these days. People obsessing over alternative realities. Forgetting that life is here and now. I’m afraid that one day I'll wake up old and sad realizing I spent my entire life staring into a screen wanting to have or be someone I’m not. Let's just go and throw a ball at the wall together and appreciate each other for a second.Theaccompanying videoinvites you to enjoy life's simple pleasures at Anna's dog salon. "Used To Be" follows the release of "Leaning on Myself," her first taste of new music since critically-acclaimed debut album ‘Lovers’. From the shimmering fantasy pop of, "Lovers" followed a creative awakening in Los Angeles and the rebirth of a raw yet more assertive Anna. Her new music marks a clean break from the past as much as it expands on the uniquely melancholic sound that is unmistakably Anna of the North. Whilst Anna of the North has spent much time following the release of her debut album working out what comes next, her debut album ‘Lovers’ took on an unexpected life of its own. These songs of heartache, guilt and the tentative joys of moving on have united a rich global audience in their intimate shared experiences. Few modern artists, too, could appear as at home working with Tyler, the Creator (Anna lent her vocals to "Boredom" and "911/Mr Lonely" on ‘Flower Boy’) and Rejjie Snow as they are duetting with HONNE or landing a viral remix by The Chainsmokers.The record’s word-of-mouth success culminated in the title track taking off via a placement in Netflix’s surprise hit film, ‘To All The Boys I’ve Loved Before’: ‘Lovers’ has amassed over 38 Million streams since the release of the film in August 2018 and is still streaming nearly 100,000 times per day, 8 months later,and made the top 100 Shazaam charts in 171 countries. It’s a modern ballad that you fall in love with.. and fall in love to. All of which has led Anna of the North – at times, entirely by accident - to where she finds herself in 2019. That rare songwriter who strikes an emotional chord regardless of location or genre. A pop star who has perhaps always been hiding in plain sight. And a fearless young woman ultimately "leaning on herself". Austin Plaine Shares "What Once Was"
Like only the most insightful songwriters,Austin Plainedraws intense emotion from the subtlest moments. The Minnesota-bred, Nashville-based musician will release his sophomore albumStratfordonMay 17, shaping his lyrical storytelling with both precision and feeling, capturing every nuance of lost love, longing and fractured innocence. Today, he shares "What Once Was", which premiered this morning atThe Bluegrass Situation. "Sometimes as we get older we forget some of our favorite moments from the past," says Austin. "Then years can go by and you wonder where it all went. These are little vignettes of things remembered, but understanding the past is what got you to the present." Produced byJay Footeand mixed bySteve Vealey(M. Ward, Phoenix, Hurray for the Riff Raff) at the legendaryElectric Lady Studios,Stratfordbears a richness of detail that hints at the literary and cinematic influence behind Plaine’s songwriting. “People tend to think my songs are personal because I sing in the first person, but often it’s very observational for me,” says Plaine, who names Alexandre Dumas and Henry Miller among his inspirations. “I’m learning to understand new philosophies of life, love, and death,” attributing his passion for reading as helping him attain a better sense of his surroundings. Plaine just began a run of spring performances shows with a full tour slated after album release. A list of tour dates can be found below with more to be announced soon. Danny Worsnop (Asking Alexandria) will release his new solo album Shades of Blue on May 10 through Sumerian Records, listen to the new song Best Bad Habit.